The Answer is Distinctive Dentistry! Pediatric Dentistry is at the Heart of our Practice. 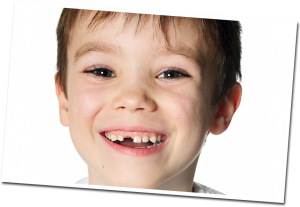 Distinctive Dentistry in Tacoma, the Fife area, is dedicated to your family’s dental health and our pediatric dentistry is essential to a future of your child’s dental health. We know that it’s now always easy to get kids to build healthy habits. Here are some tips to get your kids into the habits that will benefit them their whole lives. 1. Set a good example. Let your kids see you flossing, brushing and turning down sugary drinks and snacks. 2. Ban soda and gummy treats. Fruit gums, fruit leather, sugary gum, and all sodas are bad for teeth. If you allow your child to indulge in these treats make sure you insist they brush their teeth directly after. 3. Buy them a timer so they learn how long they should brush their teeth. Some toothbrushes come with one. 4. If you have a tech-savvy child who owns their own iPad, download a free toothbrush timing app. There are several free ones to choose from. 5. Monitor your child’s tooth brushing and flossing. Correct their technique as needed. 6. Make sure they get a dental cleaning twice a year. Compliment them when they do it correctly. 7. Replace their toothbrush every 3-4 months. 8. For reluctant children, make a start chart with a reward at the end of the week, and then at the end of the month. Let them pick their own toothbrush and toothpaste. If they want two flavors to switch back and forth between, let them. Two tubes of toothpaste is cheaper than a filling!